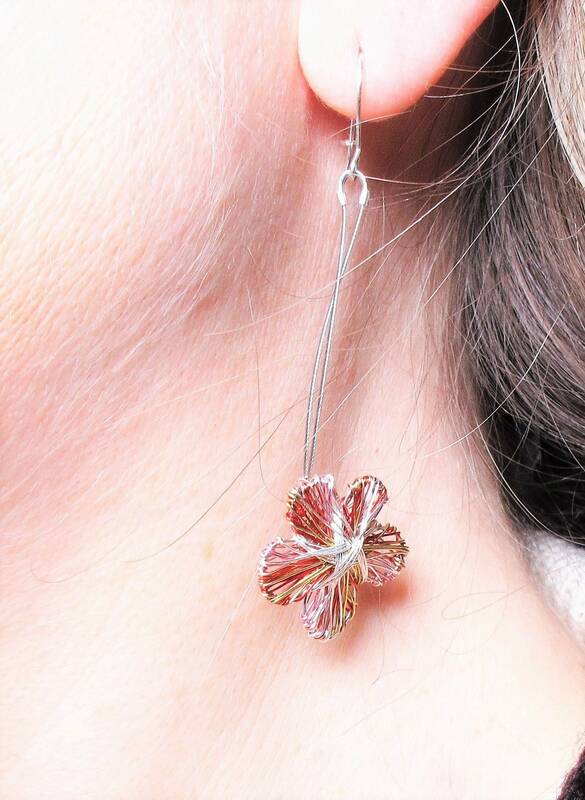 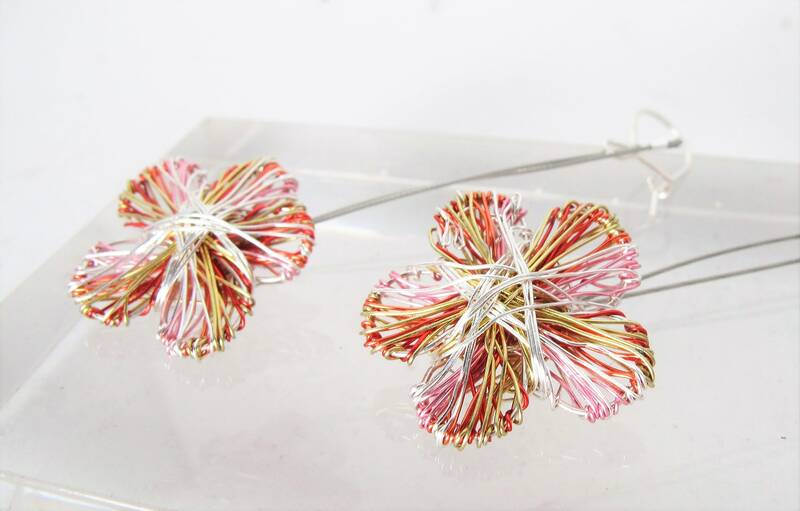 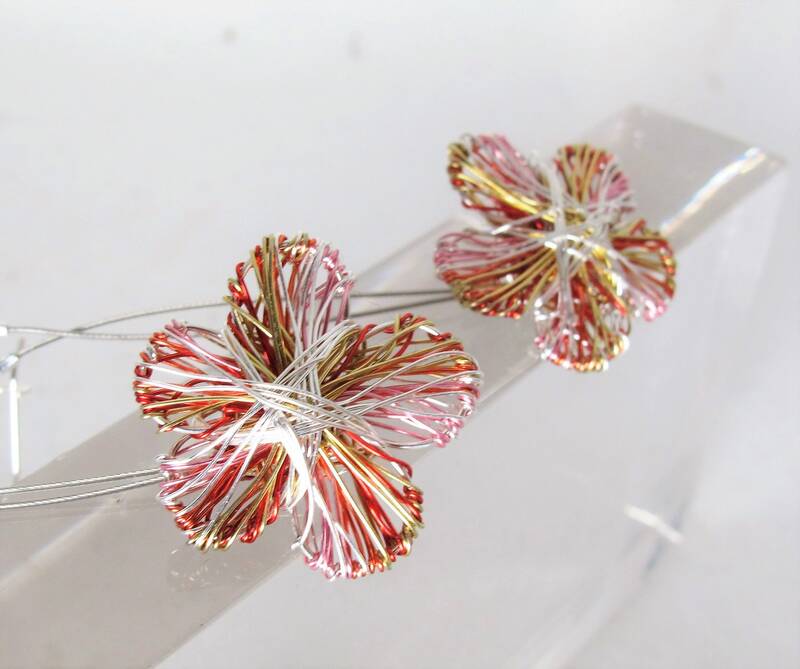 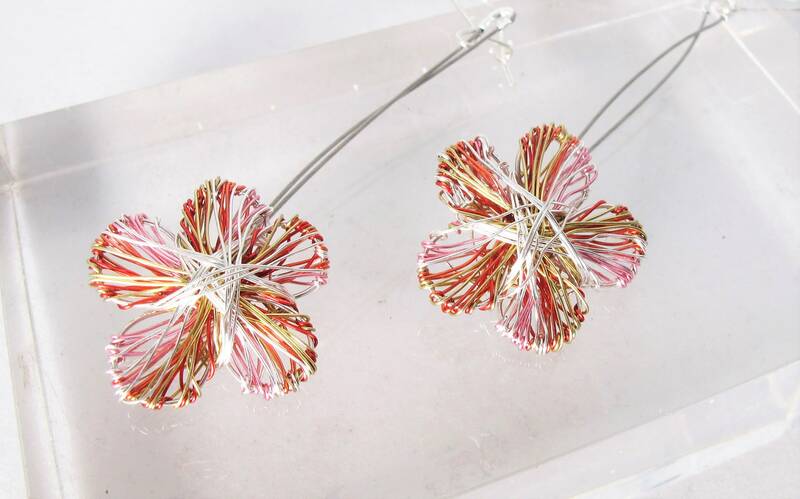 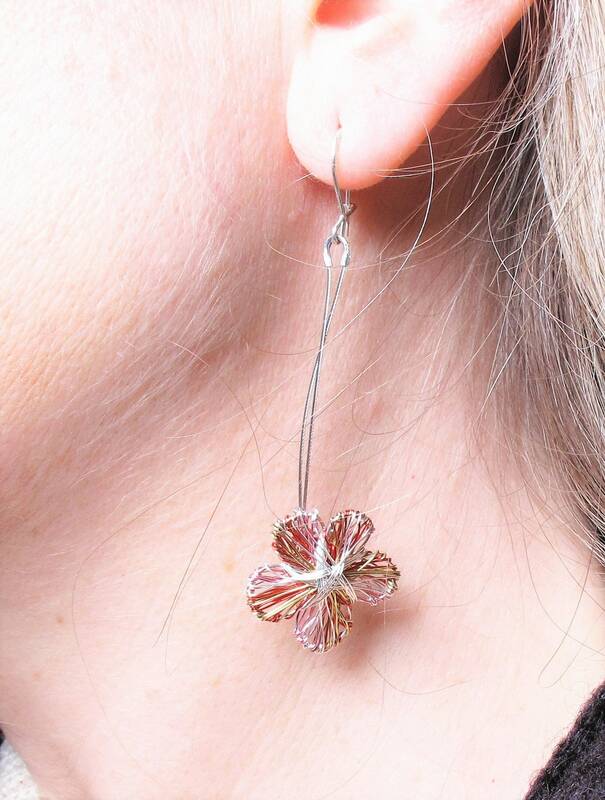 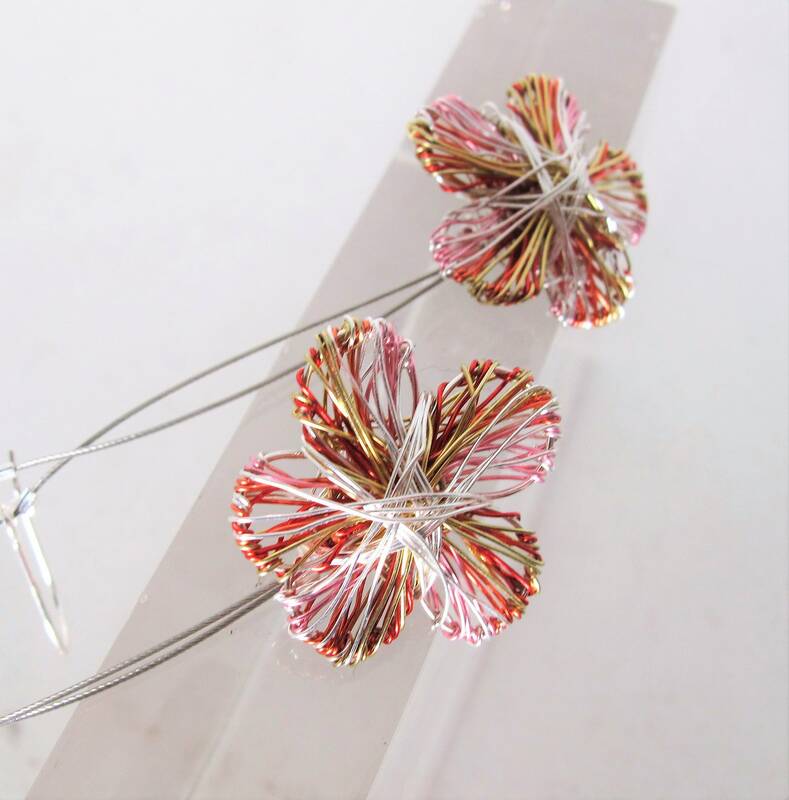 Solid silver, wire flower earrings, handmade ​​of colored copper wire and silver. 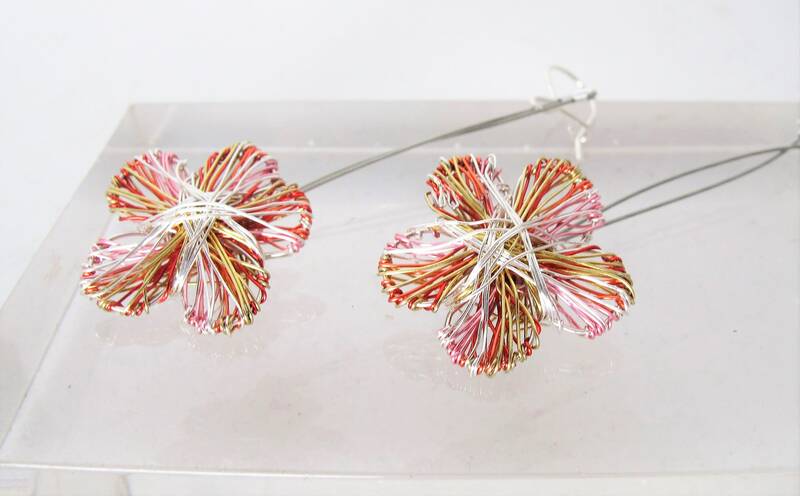 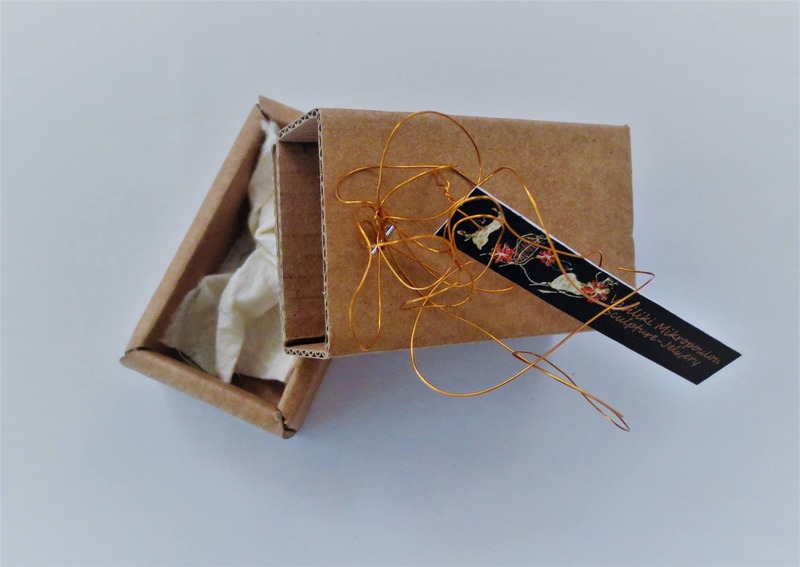 The diameter of the long flower earring is 2 cm (0.78 in). 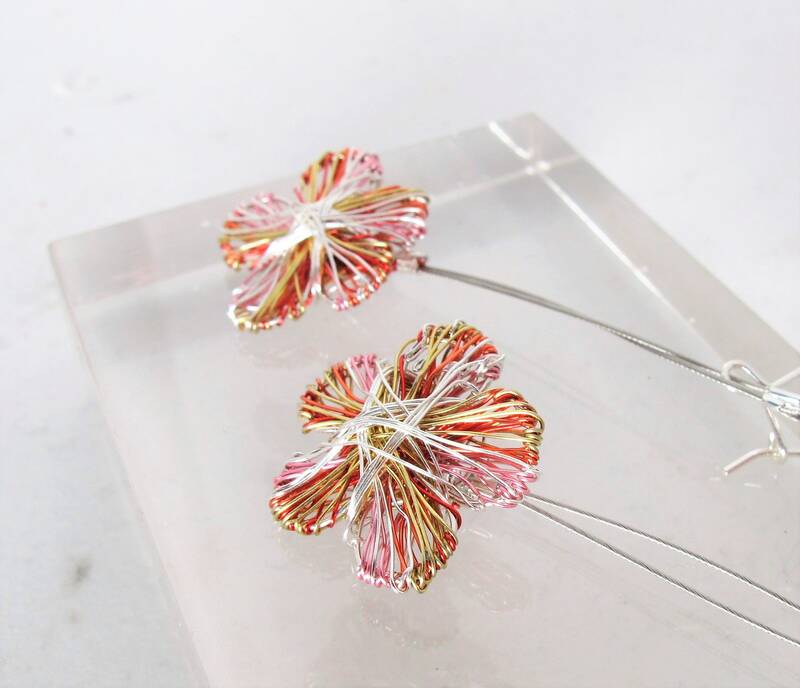 The drop length is 6.5 cm (2.5 in).